Product prices and availability are accurate as of 2019-04-22 07:09:05 UTC and are subject to change. Any price and availability information displayed on http://www.amazon.com/ at the time of purchase will apply to the purchase of this product. 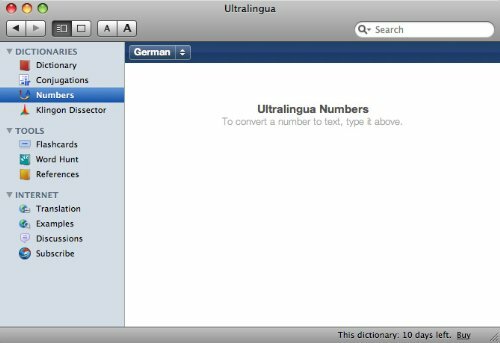 Ultralingua's German-English dictionary for Mac includes all the reference tools you need for language learning in a single place. 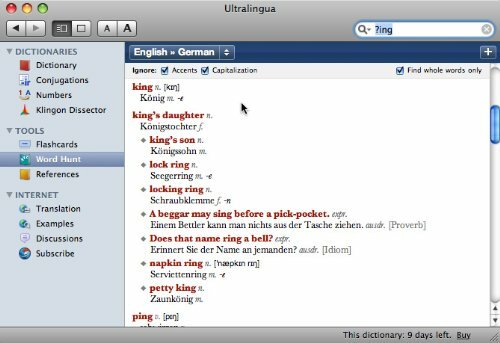 Keep Ultralingua on hand while you're writing, reading, memorizing vocabulary, and studying English and German grammar and you'll always have the word you need. 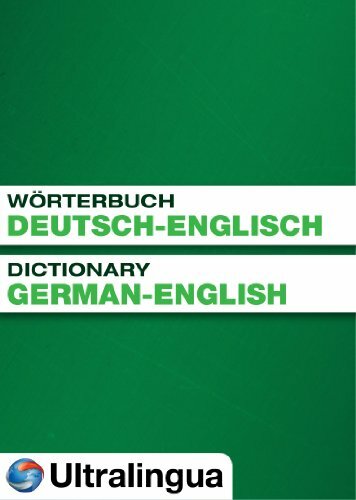 Dictionary: You'll easily find the German and English words you need with this dictionary. Search results and suggestions are displayed instantly and narrow as you type, so you don't need to know precise spelling to find what you are looking for. The verb conjugation tool provides complete conjugations for thousands of German and English verbs in all standard forms. This is a must-have reference for German and English language learners. Your English and German conjugations will always be accurate. The custom flashcard builder works with the dictionary to help you memorize word lists and vocabulary. Create, organize, edit, and view flashcards as you need them. 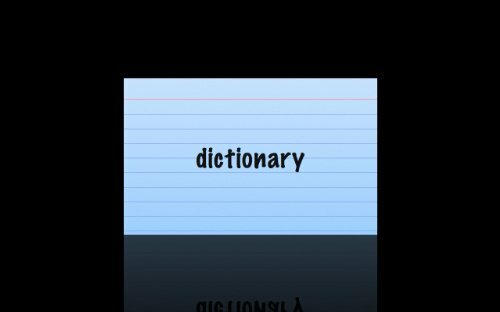 You can also click any word you see in the dictionary to send it to your flashcard deck to customize and review later. German and English language learners need to master plenty of grammar and usage rules, and keeping track of them all can be a challenge. 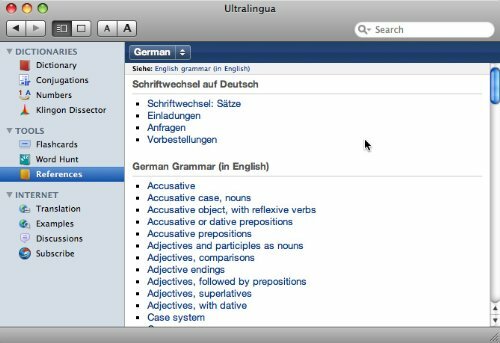 Grammar guides are built into Ultralingua dictionaries for Mac so information on everything from modal verbs to noun cases is only a click away. Translate any number into German or English text in the number tool. 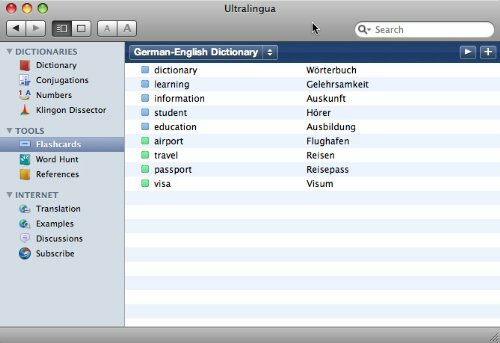 The German-English Dictionary for Mac was built to work offline, so your flashcards, dictionary, verb conjugations, grammar guide, and more are always available whether or not you have an internet connection. Download yours now to get unlimited access to thousands of verb conjugations, translations, the flashcard builder, and more. 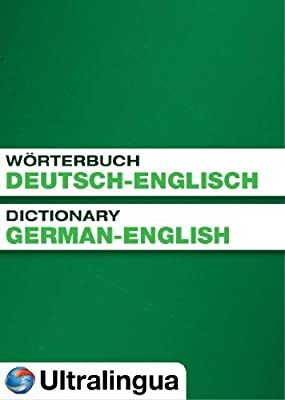 This German-English dictionary includes over 295,000 detailed translations for about 95,000 headwords. Click on any word in a translation to look it up, conjugate it, add it to your flashcards, or search for usage examples online. Conjugate thousands of German and English verbs in all standard forms. Create custom flashcards to memorize vocabulary lists, verb forms, and more. Define and translate German and English words in email, web browsers, PDF files, documents, and more with the hotkey.